Where can Turlock patients find emergency dental care? At the office of Ramsin K. Davoud DDS in Turlock, we not only provide general dentistry solutions, but we also offer emergency dental care. We understand dental emergencies happen, often at inconvenient times, and patients need quality professionals available to tend to them in times of need. If a dental emergency occurs, it’s often imperative to seek immediate care to ensure the best possible outcome. Dr. Davoud and his team provide 24/7 access to a medical professional for dental emergencies that occur after hours. During business hours, we see you as soon as possible, after-hours calls are fielded by our call center. After-hours emergency calls will receive a consult by a member of our team. This team member will give you detailed instructions on how to proceed, including at-home care solutions as well as scheduling you an appointment with the dentist as quickly as possible. Emergency dental care is something that all patients in Turlock should be able to count on, which is why it’s an integral part of our practice. 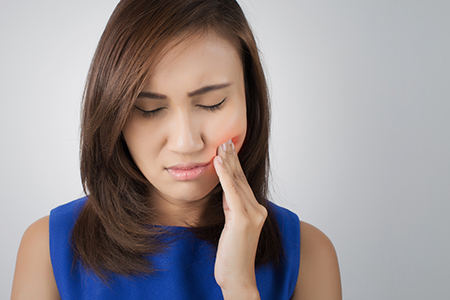 We understand that dental emergencies can often cause anxiety and pain. Our goal is to eliminate that pain as quickly as possible and ease your nerves about finding a solution to your problem. By addressing emergencies quickly, we are able to prevent many long-term problems that can occur when dental issues go untreated. We know it’s impossible to predict when a dental emergency will occur. To learn more about quick and convenient access to dental care when you need it most, call us today at 209-690-8051. We are always here to help.